Natural cures for arthritis can often prevent needing to turn to medication. For centuries, the home arthritis remedies discussed on this page have been used throughout the world. Arthritis is an inflammation of the tissues of one or more joints, usually with pain, swelling, and redness. 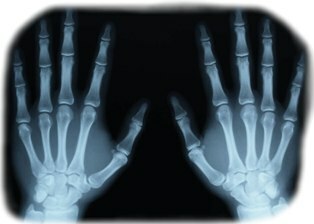 The 2 most common forms are Osteoarthritis and Rheumatoid Arthritis. I live with osteoarthritis, but have found these home remedies for arthritis pain to be helpful in my day to day living.If you are like me, you just want to find some relief from the down deep aching pain. I can’t take most of the NSAIDs. They hurt my stomach, so I have researched and experimented and found natural arthritis cures that work for me and also some great natural remedies for Rheumatoid Arthritis. SLIPPERY ELM: Soothing and healing natural cure for arthritis. Reduces swelling and inflammation. Deep Relief Poultice-Mix together 2 tablespoons of slippery elm powder and 2 tablespoons of dried chamomile flowers. Add hot water, stirring all the time to make a paste. Wrap in light cotton and apply poultice to affected areas. (May substitute cayenne pepper for chamomile). EVERFLEX: A patented formula only available through Nature's Sunshine. (One of my favorite natural cures for arthritis) Contains glucosamine, chondroitin, MSM, hyaluronic acid and devil’s claw. Glucosamine helps maintain the integrity, lubrication and mobility of joints. Chondroitin promotes cartilage tissue generation and attracts fluid into the cartilage, making it more shock absorbent. Methylsulfonylmethane (MSM) is a form of biologically active sulfur that is found in the human diet. Sulfur is important to joint health. Hyaluronic acid is an important component of cartilage that plays a crucial role in joint motion and homeostasis. HA promotes the viscosity and elasticity of the fluid surrounding the joints. Devil’s claw relieves joint pain and has been shown to have anti-inflammatory activity. CAYENNE: Contains a compound called capsaicin, which, among other things, blocks pain impulses from traveling to the brain. As a bonus, the pepper is said to boost the production of endorphins, the natural pain-killers produced by the body after exercise. BOSWELLIA (FRANKINCENSE OIL): Use in a carrier oil for a gentle massage to help with Rheumatoid arthritis. 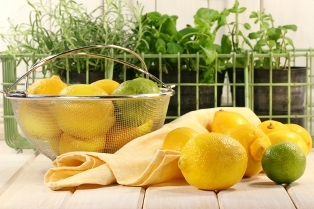 LEMON and CYPRESS OILS: Detoxifying. Can use in the bath and in a massage oil blend to help the body eliminate poisons. ROMAN CHAMOMILE, LAVENDER, and ROSEMARY: Use in a massage oil blend or compresses. Anti-inflammatory and pain relieving. ANTIOXIDANTS: May help reduce age-related and "free radical" cellular damage to the cartilage surrounding painful joints- resulting in less pain and freer movement over time. VITAMIN E COMPLETE W/SELENIUM: Protects against free radicals, Supports the circulatory and reproductive systems, as well as the liver, Maintains normal-range blood viscosity, Supports glandular health, and helps maintain cholesterol levels that are already within the normal range. Reports found people with a high selenium level were 40 to 50% less likely to experience knee osteoarthritis than individuals who were low in selenium. CIDER VINEGAR OR GINGER ROOT BATHS: Can help reduce symptoms and encourage healing. Ginger Root Poultice- heat grated ginger root and olive oil, put in a cloth, and apply to affected area. APPLES: Detoxifiers. Eat them daily to improve symptoms. CHERRIES: Efficient cure for arthritis. 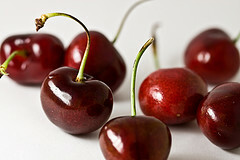 Can eat 6 sour cherries a day or drink cherry juice or even take cherry extract capsules for reducing inflammation. Understanding the natural cures for arthritis is only the first step you need to take. Putting the ideas found on this page to work for you can have a profound impact on the pain you are experiencing and greatly improve your quality of life. **NOTE: Information on this site is for educational purposes only. If you are looking for home remedies for arthritis pain, do not use this site as a substitute for the advice provided by your physician or other medical professional. If you are pregnant, please consult your doctor before trying any natural remedy.